Go all out this year with this amazing 2019 Silver Rush Prom Theme Kit. 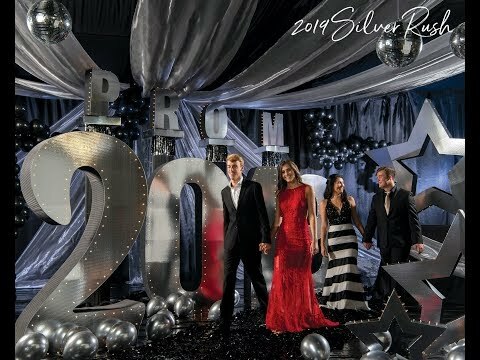 Our 2019 Silver Rush Prom Theme Kit will make any event simply unforgettable. This glitzy black and silver decorating kit includes a large 2019 number set, a PROM column set, and three different sizes of lighted 3D stars. Product Code: KC2113Welcome your guests with a beautiful fairtytale scene using our ​Belle of the Ball Quick Kit. This unique kit features a fireplace standee and other props to quickly and easily transform your venue.Due to distribution and licensing specifications, this product cannot be shipped outside USA.